Human beings are political animals, said the Greek philosopher Aristotle: animals that live in the “polis,” the Greek word for city. Over two thousand years later, we are still political animals, and the study of ancient cities is of abiding interest, for our perceptions of the urban centers of the past continue to exert a powerful hold on modern culture. 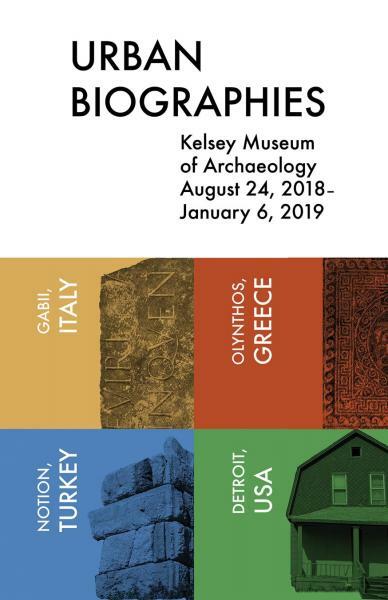 This exhibition showcases three Classical cities where the University of Michigan sponsors field projects: Gabii in Italy, Olynthos in Greece, and Notion in Turkey. The archaeologists excavating these cities, in collaboration with students and faculty from U-M’s Taubman College of Architecture and Urban Planning, are comparing their findings to projects of urban rebuilding in contemporary Detroit, asking two main questions: How do contemporary archaeological methods facilitate the study of both ancient and modern cities? And how can the study of the past help illuminate the challenges and opportunities facing Detroit today?